There Might Be a Good Reason You Hate Exercise… Now What? You can stop beating yourself up over the fact that you’re not motivated for a heavy workout at the gym. Scientists have found physical reasons why some people thrive on exercise and some consider it a form of torture. Everyone’s body chemistry is different, and our particular body chemistry and biological functions can determine if exercise is a pleasure or a chore. A study performed by researchers at Iowa State University found that people have very different levels of physical capacity for exercise. Some people who are mostly sedentary will reach their physical capacity from doing something as minor as cooking a meal. Even taking a walk would be more than they could manage. Our physical capacity for exercise is based on what is called the “ventilatory threshold.” In most people, when at rest, the amount of carbon dioxide exhaled is equivalent to the amount of oxygen taken in. When we exercise, we pass the ventilatory threshold and begin to expel more carbon dioxide than the oxygen we receive. This causes the muscles to begin to build up lactic acid and the body to create a stress response. For most people, the ventilatory threshold appears when they are at about 50% to 60% of their maximum exercise capacity. For sedentary people, this can be as low as 35%. 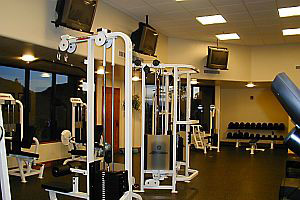 People’s mental attitude toward exertion makes a difference as well. Some people enjoy the feeling of pushing their muscles to the limit and sweating, whereas others just find it unpleasant. So if you are someone who generally hates to exercise, what can you do to help become more motivated? First of all, start slowly, particularly if you have been sedentary for a while. Pushing yourself at the beginning of an exercise regime will only make you feel bad and will discourage you from exercising in the future. Start with a gentle form of exercise that takes weight off your feet, such as water aerobics or bicycling. Consider taking up a social form of exercise. This can involve joining a class or even just enlisting a friend to walk with you for half an hour each day. Having the support of others can help with motivation. Media can be a good motivator as well. Watching a TV program while on the treadmill or listening to stimulating music on your MP3 player has been shown to help people push themselves harder when they are exercising. Finally, engage in a physical activity that you feel competent doing. Many currently fit people were picked last for team sports when they were younger. But sometime between then and now, they either tried again or tried something new and found they were good at it. If team sports are not your thing, try dancing or some other activity that gets you moving. Any amount of exercise is good, so don’t feel that you have to live up to someone else’s expectations of how athletic you should be. If you enjoy whatever it is you’re doing, you will be far more motivated to continue doing it. Looking for Back Pain Relief? Call Southeastern Today! If you’re looking for a proven, non-invasive way for back pain relief, Southeastern’s team of experienced chiropractors can help. We treat patients like you every single day. All it takes is one visit to discover for yourself the benefits of chiropractic care. 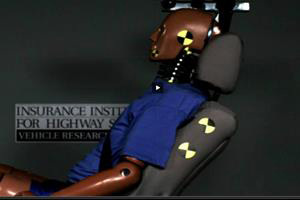 Automobile Head Restraints Prevent Injuries – Use Them Correctly! Taking just a little time and effort to position your head restraint correctly can save you a lot of pain and suffering if you are ever in an auto accident. Your health and safety are worth it!